What is the A & P Commission? 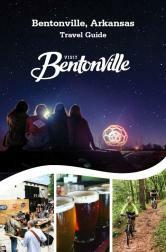 2 percent (2%) tax on the portion of the gross receipts or gross proceeds received from the renting, leasing or otherwise furnishing of hotel, motel, or short-term condominium rental accommodations for sleeping, meeting, or party room facilities for profit in the City of Bentonville, Arkansas, but such accommodations shall not include the rental or lease of such accommodations for periods of thirty (30) days or more. 1 percent (1%) tax on prepared food and non-alcoholic beverage sold by restaurants, cafes, cafeterias, delis, drive-in restaurants, carry-out restaurants, convenience stores, grocery stores delis, and all other establishments in Bentonville engaged in the selling of prepared food and non-alcoholic beverages for on- or off-premises consumption. a pre-packaged bag of nacho chips/potato chips would not be taxed, however, an on-premises prepared serving of nachos (cheese and nacho chips) would be, etc. Although this is a city tax, state laws govern the makeup of the Commission and set forth guidelines for any expenditure of the funds collected. Payment of the tax is made directly to our office, and any expenditures must be approved by the Commissioners.